*Terms & Conditions Apply. 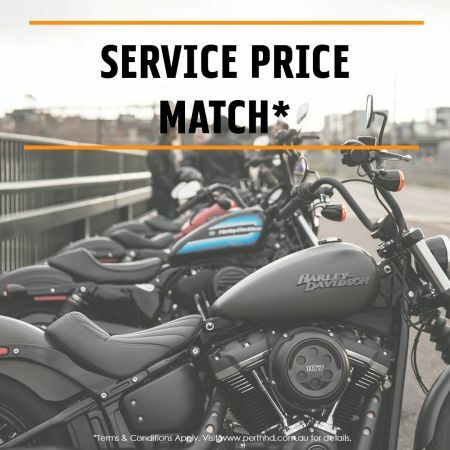 Customer must have an itemised quote and present it to the Service Advisor at Perth Harley-Davidson. Quote must be from a reputable West Australian Motorcycle Servicing Centre. Price Matching is at the Dealership's Discretion.